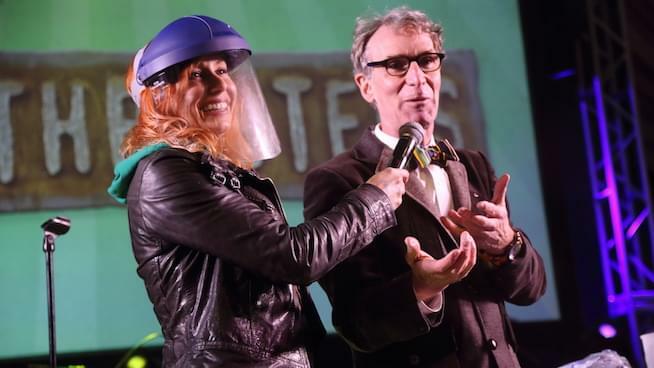 “Reality-based science television” is how Kari Byron defines her central career role, but that’s just what she does — and quite well. What she is is a searcher, someone looking for life lessons among the scientific method. Byron spotlights the encouragement of getting more girls and women into STEM fields (science, technology, engineering and math) and is also a proponent of an expanded STEAM approach (the “A” is for arts!). We had the honor of sitting down with her in segment one to learn about the inspiration behind “Crash Test Girl,” who should read it and what’s next. The rap on venture capital is that a little inflow can result in tyrannical control of a startup, and a huge return on investment upon the exit. Not always, but often, that’s what happens. So, why? That’s the question Professor Dileep Rao raised. Mr Rao has a sucessful history in venture capital (does Walmart ring any bells?) and he is looking to hand over the torch to empower more entrepreneurs to learn about how VC works, and when to apply it. In segment two, he sat down with us to share his advice and discusses how Silicon Valley is a unique market for venture capital, and the ways Bay Area natives may take it for granted. Spoiler alert: Here, the expectation is that things will fail, but it doesn’t carry the stigma of failure. In most of the rest of the country, a lone VC might fail at something, and the market won’t let her or him forget it for decades. Professor Rao is offering interested listeners a free copy of his book, “The Truth About Venture Capital: 26 Reasons to Avoid VC and 5 Reasons to Delay It.” If you would like, you can email him directly at drao@umn.edu for more details.